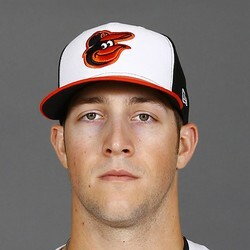 Stephen Wilkerson went 2-for-3 with a run and an RBI in the Orioles victory over the Angels Sunday. Wilkerson got the rare start at second base in favor of Schoop, who would come into the game later. Wilkerson had a decent day at the plate, with a double and a single, as well as an RBI and scoring a run. It does say something that the Orioles wanted to sit the slumping Schoop, but that doesn't mean Wilkerson is supplanting him anytime soon.